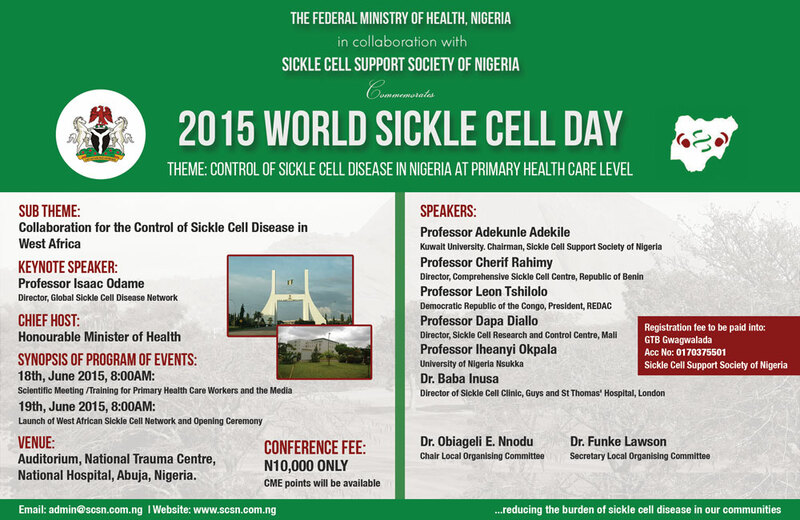 Come and join us as we come together to learn, train and celebrate our efforts to eradicate Sickle Cell Disease. 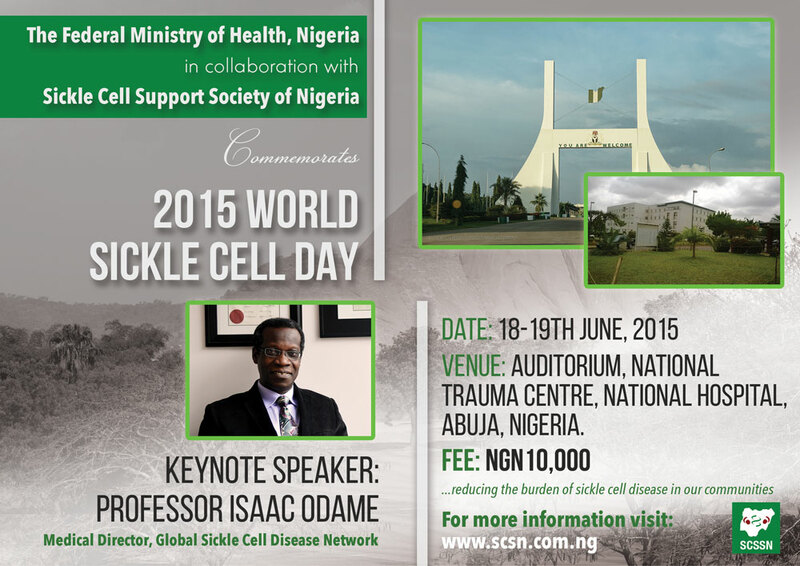 The 2015 World Sickle Cell Celebrations is scheduled to take place from 18th -19th June 2015, at the Auditorium, National Trauma Centre, National Hospital, Abuja, Nigeria. This event is being planned by the Sickle Cell Support Society of Nigeria in collaboration with the Federal Ministry of Health, Nigeria. The Sickle Cell Support Society of Nigeria (SCSSN) is an umbrella body that brings together Nigerian doctors, scientists, NGOs and patients with interest in sickle cell disease (SCD), both within the country and in Diaspora. The Society has made progress in advocacy for the control of (SCD), building collaborations for scientific research and establishing guidelines for uniform management of patients with the disease at primary secondary and tertiary health care levels. This has been done by working closely with the government, professional groups both within the country and in Diaspora.